Max Dale's Steak House is a popular restaurant a few dozen miles up the road in Mt. Vernon, Washington. If you're not from this state, you might have heard of Mt. Vernon when a major Interstate bridge collapsed into the Skagit river. For a while, this led to a lot of extra business for Max Dale's, because the detour route went right by the restaurant. 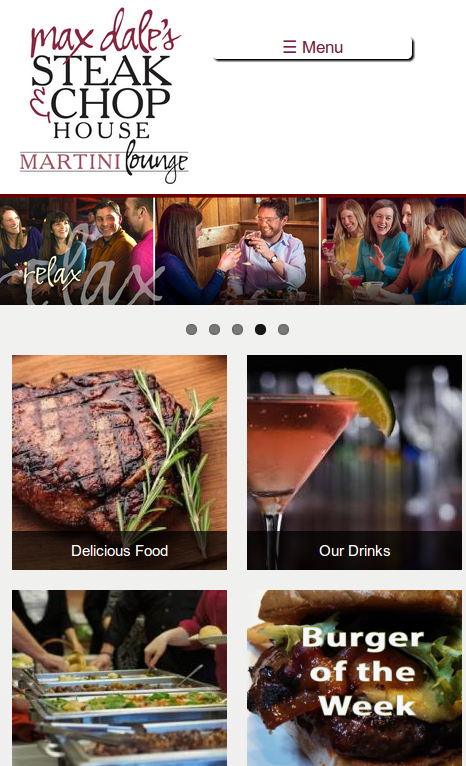 After the bridge was replaced and put in service, Max Dale's needed a fresh web site, social media presence, and video to help remind people why they should take the detour for a great meal or social hour tonight! Skagit Media Marketing led the effort, and partnered with us to deliver the first of our new Basic Business Sites. For us, this is pretty much a canned business site. As one of our first customers for this product, we did some minor custom theming while dialing in the main offering. They used some of the included support time for assistance, and we're proud to see the site take off! Each business site has several "Calls to Action" that can be used to direct traffic where the site owner wants it to go, and we can provide regular feedback about what is working along with suggestions to make it work better. Besides mobile, the other key feature Max Dale's took advantage of was the ability to do custom forms, which in their case is very useful for getting catering leads. 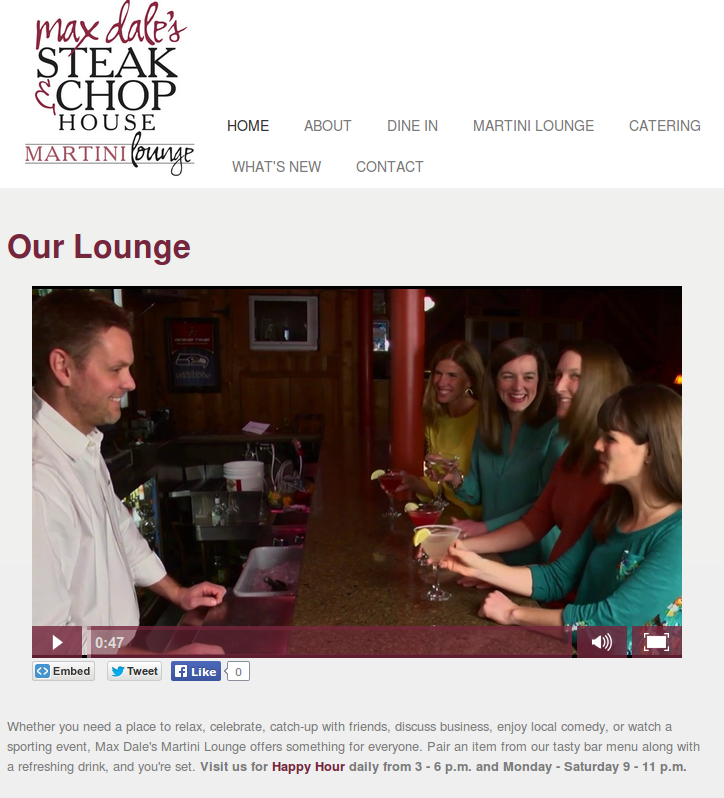 We like the video Skagit Media Marketing created to entice people to visit their lounge, and look forward to more projects going forward!